The new Compass Unite collection from Atlantic Luggage connects back-to-back, allowing you to roll two pieces with one hand. Link2Go is an innovative new way to easily attach two Spinners together. Just attach Compass Unite Spinners back-to-back with the side Velcro straps, and you’re ready to go. Effortlessly maneuver two pieces of luggage through airports with just one hand, or comfortably roll four pieces at once when the whole family is traveling. Versatile and affordable, this lightweight collection is ideal for family travelers on the move. Discover why Compass Unite is the only way to roll. Travelpro, Atlantic Luggage, and Austin House are proud to announce their “2013 Mother’s Day Gift Guide.” Make this an unforgettable Mother’s Day with a gift from their expansive lines of luggage and travel accessories, designed to suit the needs of the female traveler. 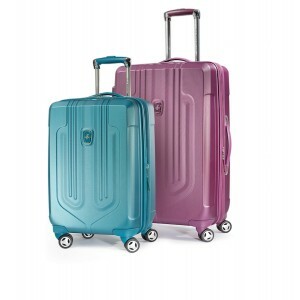 Surprise her with Travelpro’s new award-winning, Platinum Magna 21″ Expandable Spinner. 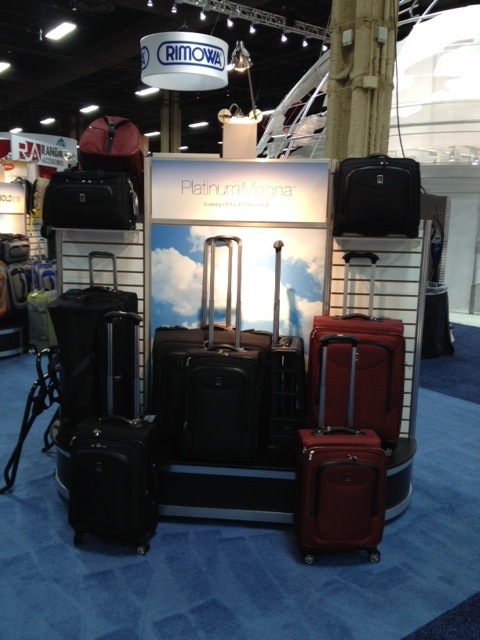 Thanks to its five new patent-pending technologies, the Platinum Magna luggage collection won the prestigious New Product Innovation Award at the 2013 Travel Goods Association Show. 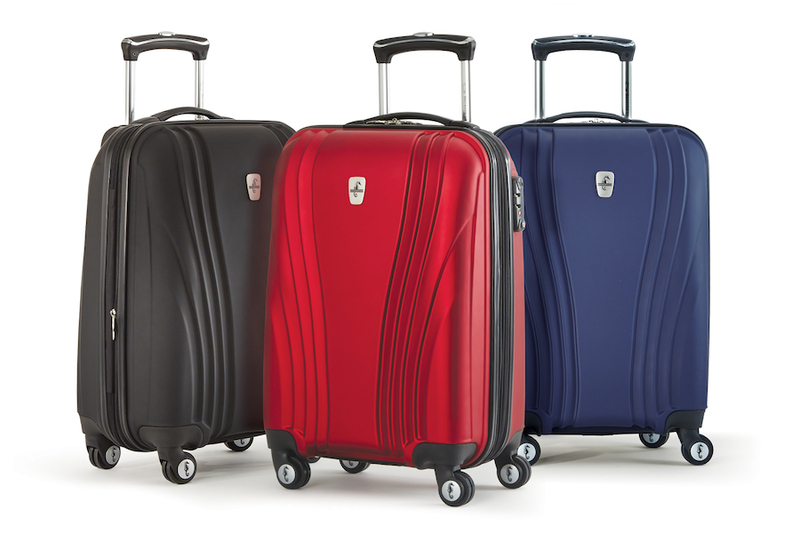 This groundbreaking collection of luxury 8-wheel Spinner and Rollaboard luggage is incredibly lightweight and elegant. Ideal for mothers who love to travel, the Platinum Magna’s Duraframe framing system lessens luggage weight significantly while providing strong protection from the impacts of travel. 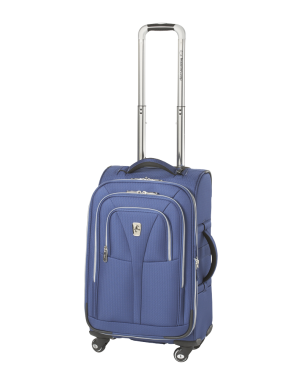 Additionally, it always rolls straight with the patent-pending MagnaTrac 8- wheel Spinner system that includes self-aligning magnetic wheels that eliminate “drifting” that is common when wheeling other Spinner luggage. Travelpro’s Platinum Magna Rolling Tote is also an excellent gift for Mother’s Day. It is perfect for an overnight business trip and features a built-in business organizer and padded laptop or tablet sleeve. Platinum Magna is available in sienna and black fabric colors. “This year’s Gift Guide offers a variety of fashionable luggage and travel accessories that are ideal for traveling mothers and the budgets of their loved ones” said Scott Applebee, Vice President of Marketing for the Travelpro family of brands. 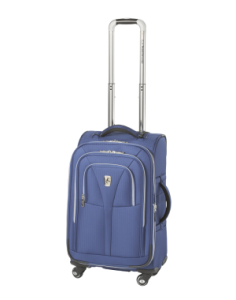 Make family traveling effortless and stress free this Mother’s Day with Atlantic Luggage’s Compass Unite 25″ Expandable Spinner. Featuring the revolutionary Link2Go system, two pieces of luggage can connect back to back with Velcro straps so you can easily roll two pieces with one hand. Additionally, customers can receive a $15 mail-in rebate when purchasing two Atlantic Compass Unite Spinner models and a $30 mail-in rebate when purchasing three Atlantic Compass Unite Spinner models. The collection is available in beautiful cobalt blue and black. For ladies with a flair for fashion and function, Atlantic Luggage offers the stylish Odyssey Lite Ladies tote. With its padded laptop or tablet sleeve and business organizer, it is an elegant and lightweight carry-on companion, perfect for short trips or even everyday use to the gym or office. For adventurous mothers and grandmothers, the National Geographic Balboa 21″ Hardside Spinner Luggage Collection, features a variety of beautiful animal images from National Geographic’s award-winning image library. Lightweight and loaded with all the conveniences that modern travelers need, luggage will make every journey easier. In addition, every purchase made will help support vital National Geographic exploration, conservation, research and education programs. Other interesting Mother’s Day gifts include attractive and cost effective travel accessories from Austin House. Traveling can be hassle free with the Austin House Travel Comfort Set, which includes an eye mask, inflatable pillow and soft 48″ x 32″ fleece blanket. Austin House helps travelers save money by preventing airline overweight luggage fees with the convenient Digital Luggage Scale. Simply place the luggage onto the scale’s hook and use its ergonomic design to lift and measure up to 110 pounds of luggage weight. Fashionable luggage tags are also available in various fun designs, including the trendy Handbag, Shoe, Flip-flop, and Beach Hat designs. These colorful tags make it easy to spot mom’s luggage on the baggage carousel. Austin House started in 1974 to make travel as safe, comfortable and hassle-free as possible. Today, the strength of Austin House is its vast selection of travel essentials and clever ideas, including safety locks, travel clocks, luggage straps, luggage tags, passport and document holders, personal security, comfort and care items, leather goods, adapters and converters and electronics accessories. A one-stop shop for travel accessories, Austin House is the essential resource for the serious traveler. Please visit the Austin House website for a full list of the latest products and retail locations. Since 1919, the Atlantic brand has been synonymous with affordable, value-added and lightweight luggage. As a market leader in the lightweight luggage segment, including neatly designed uprights and spinners to trendy and smart garment bags and totes, all Atlantic branded luggage is of superior quality and durability. Whether for business or pleasure, travel is easier with Atlantic luggage, now part of the Travelpro family of brands. Please visit the Atlantic Luggage website for a list of the latest products available for purchase and the nearest retail locations. For over twenty five years, Travelpro International has prided itself on design innovation and durability in crafting the highest quality luggage for travelers worldwide. Since transforming the ease of modern day travel with The Original Rollaboard wheeled luggage, Travelpro has been the brand of choice for flight crews and frequent travelers worldwide. Travelpro is dedicated to building a lifelong relationship with its customers by consistently understanding and exceeding their needs. 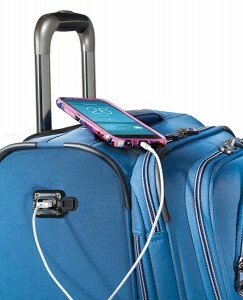 The company offers a variety of innovative, high-quality luggage collections and computer briefs; each aimed at a specific user lifestyle and rigorously tested. Travelpro was the winner of the prestigious Product Innovation Award at the 2013 Travel Goods Association Show for the Platinum Magna Luggage Collection. You can visit the Travelpro website for a full list of the latest products and retail locations. Like us on Facebook, and follow us on Twitter at @TravelproIntl. Travelpro is holding its Pre-Thanksgiving Sale between now and November 21st, 2012. You can save as much as 20% on Travelpro and Atlantic Luggage products at the Travelpro Luggage Outlet. Use it to pack before you head home for Thanksgiving, or get a jump on your holiday shopping for the frequent traveler in your life. Travelpro, the luggage brand of choice for flight crews and frequent travelers, and Atlantic Luggage are now available at huge savings on our outlet website. 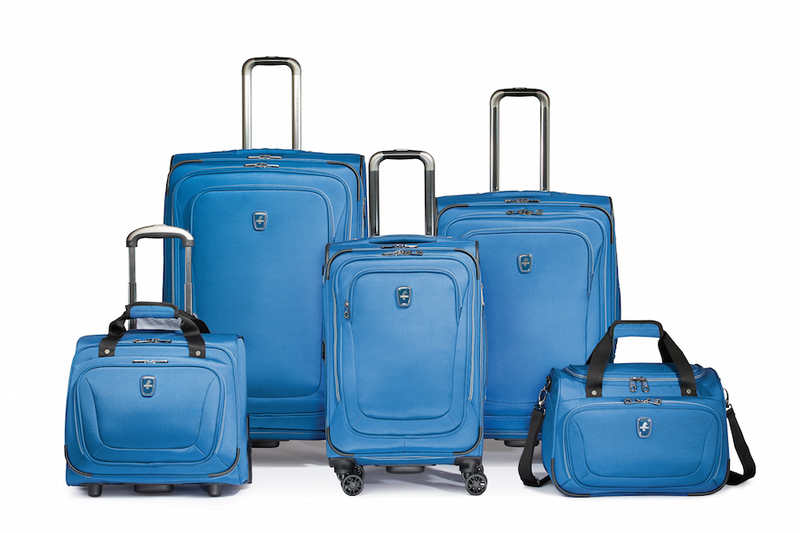 Travelpro provides highly stylish and durable luggage to over 80 airlines. 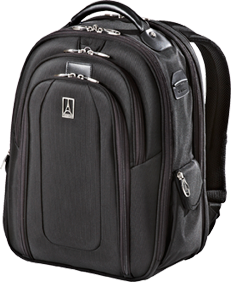 Atlantic Luggage is lightweight, durable and affordable, perfect for families and students on the go. Order now, time is limited to take advantage of free shipping on orders over $100! Atlantic brand luggage, part of the Travelpro family of brands and a market leader in affordable, lightweight family luggage since 1919, announces its Win a 2-Day LEGOLAND Florida Vacation Sweepstakes. 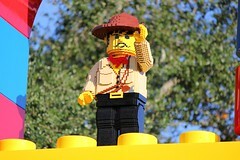 LEGOLAND Florida is a 150-acre interactive theme park dedicated to families with children between the ages of 2 and 12. With over 50 family rides, “hands-on” attractions and shows, LEGOLAND Florida provides education, adventure and fun in this second park of its kind in the United States. LEGOLAND Florida is located in Winter Haven, FL, just 45 minutes from the Orlando theme parks and downtown Tampa. “As the official luggage of LEGOLAND Florida, lightweight, durable and affordable Atlantic luggage is pleased to offer a family the opportunity to a win 2-day fun-filled vacation to LEGOLAND Florida,” said Scott Applebee, Vice President of Marketing for Atlantic and Travelpro brand luggage. The sweepstakes begins July 1 and ends August 1. For additional sweepstakes details and to enter drawing, visit www.atlanticluggage.com/legoland or enter here to win. Also, if you need to stay nice and cool this summer, head over to the LEGOLAND Water Park in Florida! With a wave pool, tube slides, and body slides, there’s plenty of fun for those hot summer days. There’s something for everyone from 375 foot water slides for the older kids, to DUPLO Splash Safari for the younger LEGO fans, and families can imagine, design and build a unique LEGO vessel and set it afloat on the 1,000 foot long lazy river. LEGOLAND Florida is a 150-acre interactive theme park geared specifically towards youngsters ages two through 12. With more than 50 rides, shows and attractions, LEGOLAND is geared towards family fun! There are currently four other LEGOLAND Parks in the world – LEGOLAND California in Carlsbad, LEGOLAND Billund in Denmark, LEGOLAND Deutschland near Günzburg, Germany and LEGOLAND Windsor outside of London. The LEGOLAND theme parks are a part of Merlin Entertainments Group, the second largest attractions operator in the world. For the most current information, log on to LEGOLAND.com. Merlin Entertainments is the leading name in location-based, family entertainment, and has seen the most successful and dynamic growth of any company in the sector over the last five years. Europe’s Number 1 and the world’s second-largest visitor attraction operator, Merlin now operates 89 attractions, seven hotels/two holiday villages in 19 countries and across four continents. The company aims to deliver memorable and rewarding experiences to its 46 million visitors worldwide, through its iconic global and local brands, and the commitment and passion of its managers and more than 17,000 employees. Among Merlin’s attractions are – SEA LIFE, Madame Tussauds, LEGOLAND, The EDF Energy London Eye, Dungeons, Gardaland, LEGOLAND Discovery Centres, Alton Towers Resort, Warwick Castle, THORPE PARK, Chessington World of Adventures Resort, Blackpool Tower, Heide Park, Sydney Aquarium, WILD LIFE Sydney, Sydney Tower Eye and SKYWALK, Siam Ocean World and Busan Aquarium. All brands which are distinctive, challenging and innovative – and which have great potential for growth in the future. Visit the Merlin Entertainments website for more information. Since 1919, the Atlantic brand has been synonymous with affordable, value-added and lightweight luggage. As a market leader in the lightweight luggage segment, including neatly designed uprights and spinners to trendy and smart garment bags and totes, all Atlantic branded luggage is of superior quality and durability. 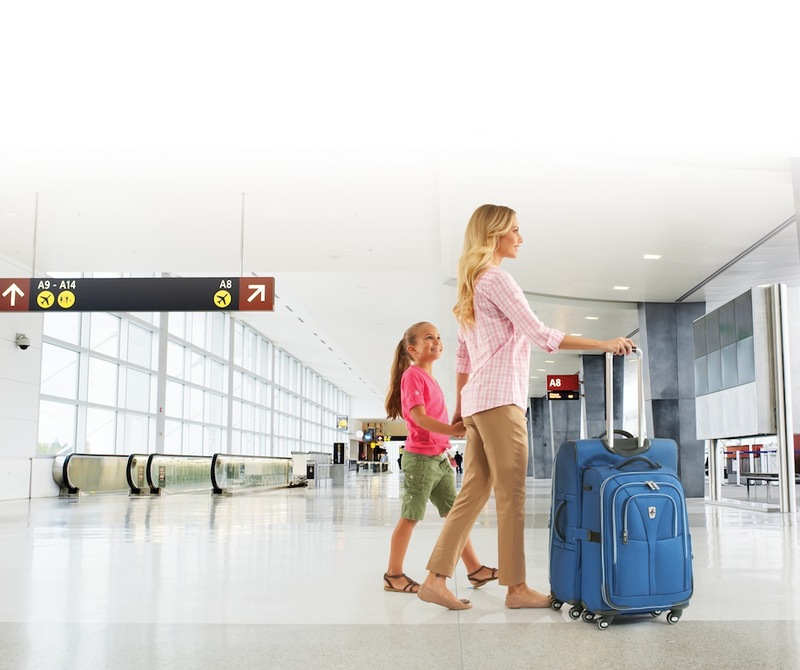 Whether for family travel or business, travel is easier with Atlantic luggage, now part of the Travelpro family of brands. Please visit Atlantic Luggage for a full list of the latest products and retail locations. For twenty five years, Travelpro International has prided itself on design innovation and durability in crafting the highest quality luggage for travelers worldwide. Since transforming the ease of modern day travel with The Original Rollaboard wheeled luggage, Travelpro has been the brand of choice for flight crews and frequent travelers worldwide. Travelpro is dedicated to building a lifelong relationship with its customers by consistently understanding and exceeding their needs. The company offers a variety of innovative, high-quality luggage collections and computer briefs; each aimed at a specific user lifestyle and rigorously tested. Travelpro was the winner of the 2009 and 2010 Leading Edge Award from Executive Travel Magazine for “The Best Carry-on Case.” Travelpro is celebrating the 25th Anniversary of the invention of the Rollaboard throughout 2012. Please visit Travelpro for a full list of the latest products and retail locations.